The Australian Solar Energy Society (AuSeS) has released details of what it says are promises broken by the NSW O’Farrell government in relation to the state’s Solar Bonus Scheme. Ahead of a major solar rally to be held in Sydney on Wednesday, Chief Executive of AuSES, John Grimes, says based on commitments made by the NSW Government when it was in Opposition, Premier O’Farrell must keep his promises and immediately reverse his decision to retrospectively slash the solar feed in tariff for those who originally signed contracts to receive 60c per kilowatt hour for electricity generated by their solar power systems. Mr. Grimes provided several examples of the O’Farrell Opposition being on record promising to honour commitments already in place. A recently removed statement on Barry O’Farrell’s web site, still available via Google’s cache feature read, “The NSW Liberal & Nationals policy will ensure that NSW leads Australia in establishing a decentralised energy sector, by honouring the State Government’s current commitments”. As anger mounts over the handling of the Solar Bonus Scheme, the Solar Energy Industries Association (SEIA) has announced it has engaged Piper Alderman Lawyers to investigate the legality of the State Government’s retrospective legislation and peremptory closure of the program. 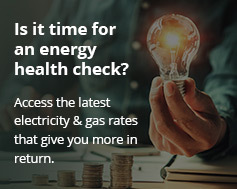 The SEIA is inviting affected parties to register their details for a potential class action.